After receiving so many requests from fellow readers about rooting GB (Android 2.36) firmware on SGSA (Samsung Galaxy S Advance), here is good news for you! I’ve researched quite a bit for the easiest rooting method and this is what I came up with. If you don’t know what rooting is, or why you should root your android phone, do not follow this tutorial. This tutorial is strictly for those who want and need root on sgsa. Also, this tutorial is for GingerBread, not Jelly Bean. 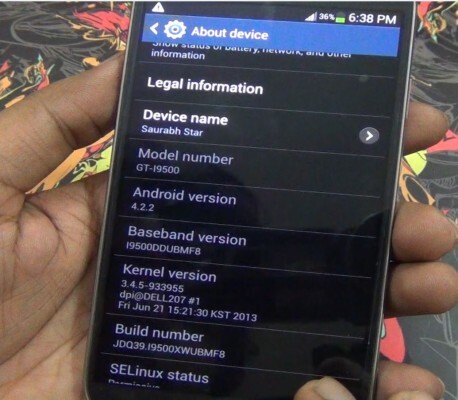 We’ve posted Galaxy S Advance JellyBean Rooting Tutorial also. Read the guide thoroughly and proceed at your own risk. Note that rooting voids warranty so if something undesired happens, you’re on your own. GT-I9070 smartphone (SGSA). No other model or variant. Proceed at your own risk. I’ll not be held responsible for any damage to your phone. Backup important content of your device. This method involves changing the stock kernel so this will increase custom ROM Binary counter of the phone as well. This method works for all GingerBread Firmware of Galaxy S Advance be it of any country (including India’s DDLK2, etc). Download ODIN for SGSA from here. On your pc, make sure Samsung Kies is not running. 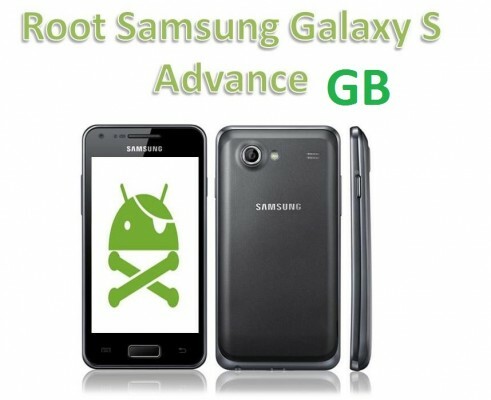 Download pre-rooted kernel for Galaxy S Advance GingerBread from here. Extract both the download files. In your phone, go to its settings and enable USB Debugging. Turn off your phone and start it in Download mode (Press volume down+home+power buttons together for few seconds). Connect your phone via usb data cable to pc. ODIN will detect your phone. Click on PDA button in ODIN and select the kernel file GT-I9070_GB_TWRP_KERNEL.tar.md5 which you downloaded and extracted earlier. After few minutes, ODIN will display PASS status and your phone will reboot. Done. Your phone is now rooted. Try installing SuperSu or other apps which require root permission. Feel free to ask questions or clear your confusion before following this rooting tutorial. Facing any problem, do ask us, we’ll try to help as much as possible. Do confirm if the method works for you! i have read everywhere about rooting gingerbread in sgsa..but found about the workarounds that involves flashing rootkernel.tar.md5 with 8g.pit and then flashing back the stock kernel.tar.md5..then installing superSu or superuser and busybox installer..
but here -> just flash TWRP kernel.tar.md5 with no pit files..i think this kernel is developed by diego_ch of xda.. if this method works , i will be the first one to be happy..hassle-free rooting process of gingerbread like never before..anyone confirm if this method works..
and also SAURABH sir..im in 16gb DDLK2 indian gingerbread…will this method work for me nd wont it eat my internal space like while downgrading..
we hv to go into recovery or dwnld mode??? My mistake in the original post.. Corrected it.. For flashing via ODIN, we’re always required to go to download mode.. So download mode here as well. okk…thnx saurabh…one mor que. wiil this rooting shrink my storage of 16 gb model??? n wat dou mean by “pre rooting” n wat will happn if we also select “flash lock” plz reply asap…rest all gud!!! n i also want to knw that , do we get less features in rooting on “GB” compared to rooting in “JB”??? Rooting gives you root access i.e. system level administrator access to everything on device.. It has to do nothing with features..
pre-rooted means that the specified file is already rooted. One just needs to install it..
Do not select other options than the ones specified in the post.. I followed all the above steps, when i installed supersu, it showed ‘The SU binary needs to be updated.’ Later after pressing continue, it showed installation failed. I followed all the above steps. Then i installed root checker to check if its rooted. It says the device does not have proper root access. Please help. sorry if this is a noob question, but my friend has this phone on gingerbread and he wants to root it, if he follows this steps will the apps and saved data of them be erased? I have I9070XXLK2 baseband version of Galaxy S Advance GT-I9070 Gingerbread.XXLK2 and i followed the above instructions in Odin.. The process seemed to work with a green Odin PASSEd message but when i intalled Root Checker it says my phone is still not Rooted? Please help? hi.. i used the above method but when i use supersu it says.. there is no su binary installed and supersu cannot install it this ids a problem.. what to do now? what are other cons of rooting this galaxy s advance, except warranty void? Malicious apps can do harm to your personal data or phone system files..
does it realy work on ind ddlk2 firmware ? plz plz plz sourabh if u can manage to make a video demonstration of it ……. dat will be very helpful for us …… please make it…asap ….official ddlk2 to roooting ,..its kina complicated ……and very few blogs even xda released dis twrp karnel quite a few time………….not more ………………and it does not have a video to follow even after subscribing your channel….. :( am fan of your work bro………..
after downgrading my s advance shirnk to 3.91 gb . how can i get full storage of my phone? i search on many websites but not found country’s official gingerbread firmware..can i get full (11.9gb) space after rooting with these steps?? Hi…I tired to go back to GB from JB by this method but my phone is hung now……on start up it doesn’t go beyond the Samsung Galaxy S Advance screen….gets hung there. Pls help immediately as I do not have another handset as of now. Finally I found something for DDLK2. Followed the process to the T but its been an hour, no sign of PASS from ODIN! How long should this take normally? I initially did a root for JB 4.1.2, which obviously didn’t work. Has that affected my phone in any way? Gonna try again and report. Tried 3 times with various SU apps. it does not work for me..
m using baseband DDLK2.. notin hapens its same as before. i followed every steps properly but when i download superuser and then use root checker it shows that your sorry! This device does not have root access..